Like most things in life, I like things to be tangible, tactile, touchable, with form and function. In this increasingly digital world, photographs live in a virtual space, tucked away in binary code. I feel that they deserve a home, a mark on a page, in a book, living between the covers. Adeline and Scott asked me to create an album for them after their amazing wedding in France last summer. I looked around at all the readily available commercial options, and just felt that they were a bit ‘off the shelf’, where you are confined to using a readymade template, and work to other peoples designs and layouts. Every wedding is unique, and therefore I felt it needed a unique book in which to show their images. So I sourced a great graphic designer and we have worked together, with the help of our amazing printer (an award winning bookmaker – but not in the gambling sense!) and bookbinder based in rural sussex. The Journey begins with choosing the pictures. 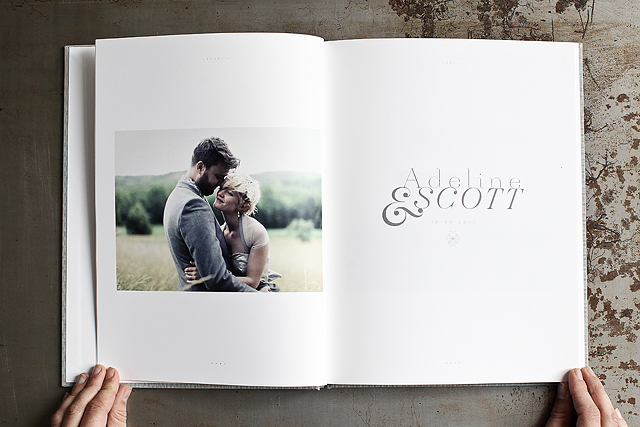 With 96 pages (far larger than most commercially available wedding albums), we asked for Adeline and Scott to choose their favourite 100 pictures. We then created a layout that told the story of their day – showcasing each image in the best possible way. Some worked best as full page, some small and some in pairs. When designing the book, we are influenced by the energy and flow of the day and try and reflect this by considering the pace of the images in the layout – this gives the book its wonderful rhythm. We then created some hand designed symbols and chose fonts which reflected the personality of the couple and the feel of the day. 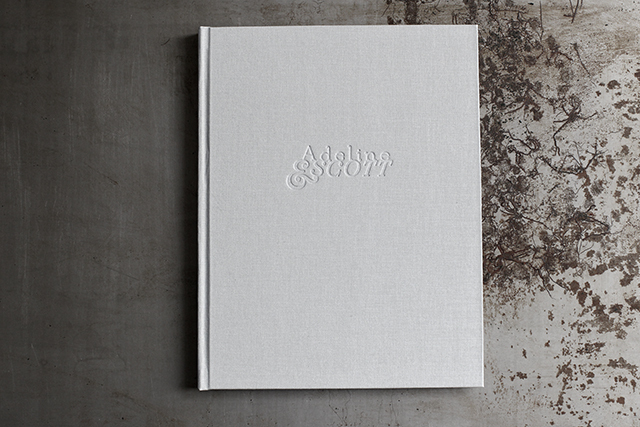 This was then all put together on beautiful uncoated white paper, and we chose a natural cloth fabric for the cover, and finished with a subtle de-boss on the front and the spine. The pages were then hand stitched and thread sewn by our bookbinders. To protect the book we had a slip case made, again covered in a natural cloth fabric. We love books, and we love designing and making them, and can make them for anyone. Prices start from as little as £375 a book. Drop us a line if you would like to find out more.